Copywriter and mom of one, Monique Stringfellow, recently made a break from LA for the desert scene of Palm Springs. Read on for her family dispatch. Mid-century architecture. A retro-hip design district. Strong cocktails and sceney hotels. 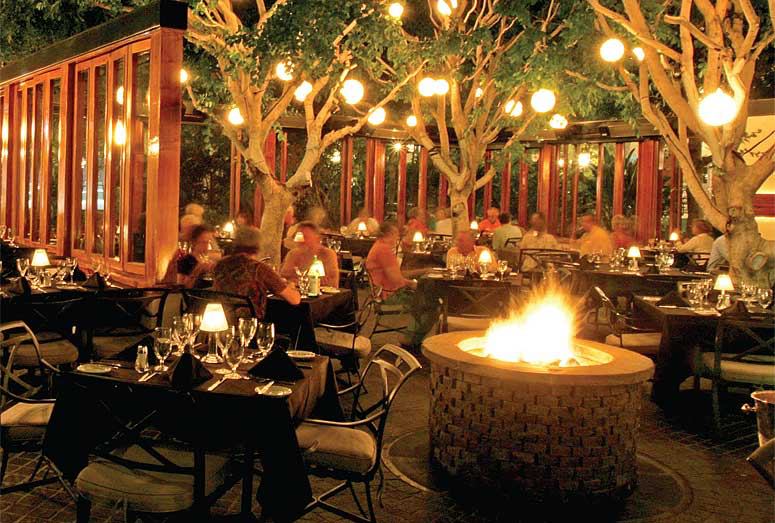 Yes, there is plenty to recommend Palm Springs to the adult traveler. But what about the younger members of the family? 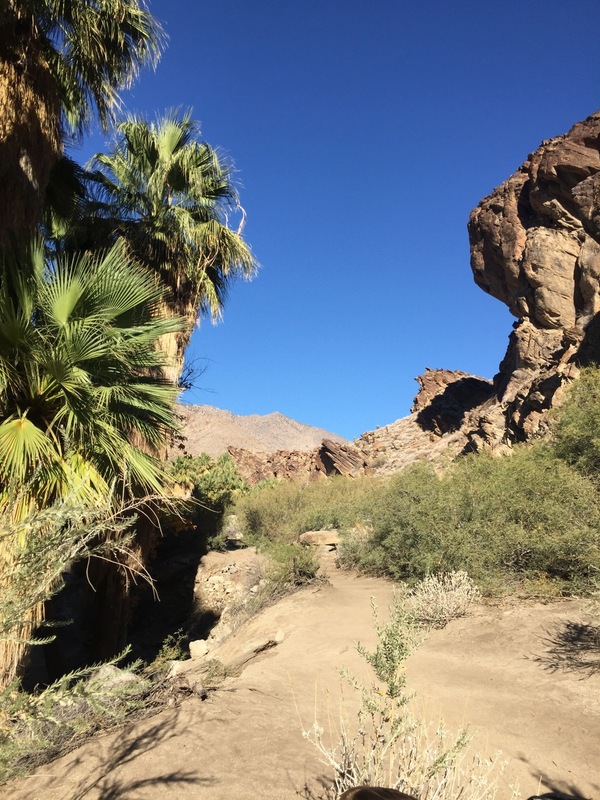 Our party of three — mom, dad and almost-two-year-old Everett — left LA and headed into the desert, and were pleasantly surprised to find an oasis whose charms extended to the way-under-21 crowd. We rented a one-bedroom apartment at the Wesley, a nine-room micro resort. We loved the extra space it gave us, which included a fully equipped kitchen and outdoor area — both essential when traveling with kids. When Everett settled in for his daily nap, we were able to sit by the pool and relax (really relax…like with books!) knowing he was sleeping just a few feet away. 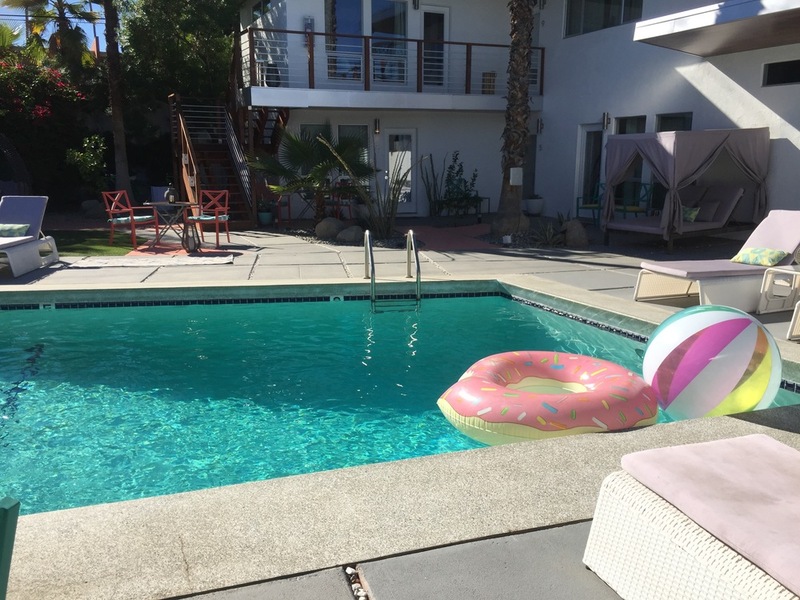 And while we liked the space and flexibility that renting gave us, popular hotels like the Parker Palm Springs, the Saguaro and the Ace are also very child friendly. Taking the 8,500-foot ride at the Palm Springs Aerial Tramway — despite being a bit harrowing for us anxiety-prone adults — offers the best desert views anywhere. You can see all the way to Salton Sea. Everett was the only member of our group totally unfazed by the incline. He seemed to enjoy the ride and definitely enjoyed a quick romp around on the hiking trails up top. It should be noted that it is a very, very safe ride — I’m not crazy about heights so I did some research. We also hit the hiking trails at Indian Canyons. For our trio, a one-mile loop was the perfect commitment. The trail was rocky but not too steep—kids of any age will be able to manage it with a few assists from mom and dad. When in Palm Springs, date milkshakes are de rigueur. If that particular locally grown fruit isn’t your thing, there are any number of alternatives available, from banana cream pie to toasted marshmallow. Great Shakes and Palm Springs Fudge and Chocolate were some of our favorite main strip shake spots. We had a fun poolside lunch at the Ace. The casual menu (created by the team behind Brooklyn’s Five Leaves) is full of easy-to-share options like tacos, salads, and fried chicken. Note: We didn’t use the pool at the Ace but it was lively, for both grownups and the water wings set. If you’re not a hotel guest, you can soak in the atmosphere with a $30 day pass. In the Design District, Jake's was good and very popular. I also heard good things about Workshop, but didn't make it for a meal this trip. For the adults, the desert heat, gorgeous light, and space-age architecture set the tone for an otherworldly escape — while ice cream, pool time, and exploring the canyons provided enough worldly diversions to keep everyone entertained.